Bring the universe to the tub and relax! 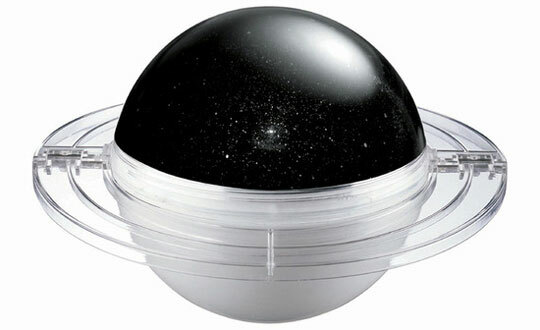 The Homestar Spa from Sega Toys is a planetarium for your bath that not only paints the room with stars, but includes Rose Bath and Deep Ocean graphic domes for changing to a different mood. 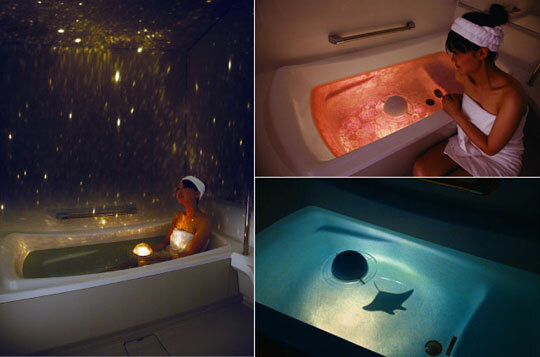 The waterproof planetarium floats in water and contains a bright light that projects out into the room, or even into the tub itself when flipped over.